The Institute have a fleet of 14 buses, small vehicles and cars . 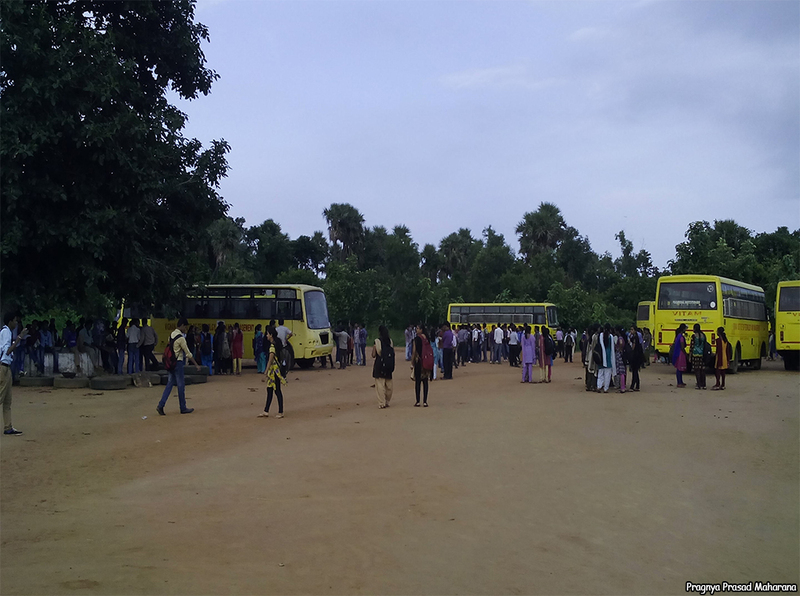 VITAM has the provision to provides transport facility to all of its staffs and students from almost all parts of the city and even from adjacent places (like Chatrapur, Gopalpur and Hinjilikatu) throughout the year. One need not worry about commuting to the Institute campus. The institute buses plying in and around the city help the students, staffs and even visitors to travel from their homes / localities to reach the Institute campus. Presently, Prof.(Dr.) L. Kameswara Rao is Professor In-charge for Transportation in VITAM. Students/Staffs/Visitors are requested to meet the transport officer to know details about the bus timings, route charts, onward and return trip and other details related to transportation.